Alfa Romeo-Sauber F1 Becomes Alfa Romeo Racing for 2019 -- Is a Fifth Engine Coming? Home / Drew Mongiello / Alfa Romeo-Sauber F1 Becomes Alfa Romeo Racing for 2019 — Is a Fifth Engine Coming? Alfa Romeo-Sauber F1 Becomes Alfa Romeo Racing for 2019 — Is a Fifth Engine Coming? 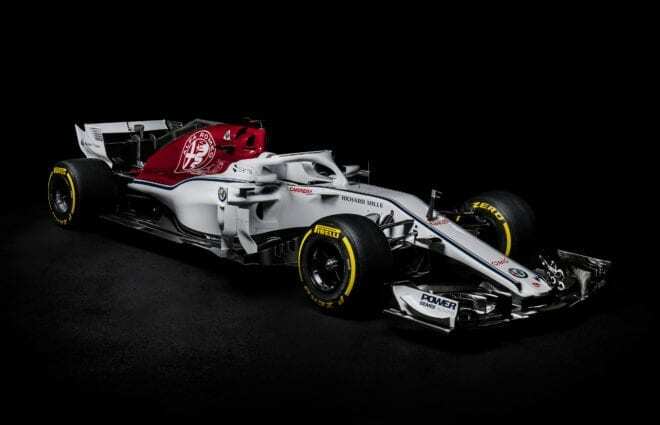 Last Friday (Feb. 1) the Alfa Romeo Sauber Formula 1 team announced it will be dropping the famous Sauber name that has been in the sport since 1993 and will rebrand as Alfa Romeo Racing for the 2019 season and moving forward. This move surprised some, but Alfa Romeo has been slowly growing more interest in F1 with its iconic cloverleaf riding on the side of the Scuderia Ferrari team for years. Alfa Romeo, with its Ferrari partnership, became the name sponsor of Sauber in 2018, which worked well for the team as it rose from five points and a 10th-place finish in the 2017 F1 Constructors Title to eighth in 2018 with 48 points. Now, I am sure you are asking, it’s just a name change, why is it that important? Well, if reports around social media are true, then this could potentially be a move by Alfa Romeo to bring a fifth engine into F1 down to the road. Sergio Marchionne’s deal with Alfa Romeo joining with Sauber gives the team a massive discount on engines and upgrades toward said power unit. However, with Alfa Romeo taking over the Sauber name fully, Ferrari will not only give a discount to the team, but it will also give 2019 Ferrari engines to Alfa Romeo for free — yeah, that’s right, free, along with the same massive discounts on upgrades. This means that the rebranded Italian team will most likely have the same straight line speed as Ferrari come Melbourne. On top of the engine deal, Alfa Romeo will invest €50,000,000 in the team, adding to the team’s normal budget of €120,000,000. This will be a massive jump in performance for the team, and if the team can adapt to the new aero package for 2019, it could make Alfa Romeo a contender for fourth in 2019 constructors. 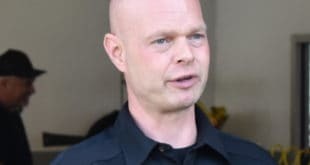 How does this tie in to the new engine supplier nugget? With the new regulations for 2021, current F1 engine suppliers must share resources to help new entrants into Formula 1, as was agreed upon by the sport’s chiefs. A wise decision by Formula 1 to avoid another Honda debacle from 2015. Honda rejoined F1 a year into the Hybrid Era with nothing but confidence it will be back at the top with McLaren cars as it was in the 1980s glory days. However, F1 became a different sport, and Mercedes, Ferrari and Renault had stayed in F1 during and since Honda’s departure in 2008. These engines lived through the change to hybrid power and were more prepared than Honda. All of these factors, as well as poor manufacturing itself, led to Honda lacking significant power in the motor for the past four seasons. Other engine suppliers like Aston Martin, Cosworth and Porsche saw what Honda had been through and were deterred from fielding an engine itself, especially when it learned that the engines may not be changed too much going into the massive regulation change of 2021. This rule, however, forces these established engine brands to open their books and show new manufacturers how to properly set up an F1 engine, and not show up to winter testing as far behind the eight-ball as Honda was in Jerez 2015. With Alfa Romeo predictably getting into bed with Ferrari over engines for the next two years before the regulation change, fully taking over the Sauber team and investing as much as it is into the team’s budget, it appears that the first move toward bringing a new engine provider under these new rules has been put into place by Alfa Rome. That puts it squarely in front of the eight-ball now, as it gets to see the current engine setup and is able to learn about how to set up a power unit that is up there with Mercedes as the fastest in the paddock. Since the engine rules aren’t going through a massive reconstruction for the next regulation change like they did in 2014, there wouldn’t be much catching up to do for Alfa Romeo to field a competitive engine in 2021. Many benefits come from being a works team in F1 — partnerships with other teams to help build the budget, as well as the potential for young driver programs running through these partnered teams (Charles Leclerc going from Sauber to Ferrari, Max Verstappen and Pierre Gasly from Toro Rosso to Red Bull) to create new avenues for new hot-shoes to make it to F1. Time will tell if Alfa Romeo taking the Sauber name is only a springboard to more Alfa Romeo involvement in F1, but if it is, it could lead to more deals like this being struck. Perhaps Aston Martin strikes a deal with Red Bull and Honda to take over Toro Rosso and start on a similar path toward its own works F1 team or eventually builds an engine strong enough to have Red Bull drop Honda for Aston Martin, which has been with Red Bull since it split with Infiniti after 2015. More engines in F1 bring more of a shakeup in the order, meaning more variables are thrown into the equation when deciding the championship and overall brings more competition, which will only do good things for Formula 1 in the future. South Shore Long Island born and raised. Syracuse University Alumni. Die Hard NASCAR follower since 2001 when he was six-years old. Caught the Formula One addiction in 2009. Currently covers Formula One with a sprinkle of Truck and XFinity Series recaps along the way. Passionate about writing, racing, and everything in between... Except for yogurt. Since Alfa is a wholly owned subsidiary of Ferrari, which is part of Fiat, none of this is surprising.